Courtesy of Jane and Kim Land and Home, LLC. Beautiful equestrian property on 17 acres. Charming 5 Bdrm farmhouse with a large front porch including guest house, swimming pool, outdoor fireplace, and 5 stall barn. Four-board plank fencing and run-in shed. Irrigated gardens and a custom built chicken coop. Lots of wildlife. Minutes to downtown Franklin and Leiper 39;s Fork Village. Don 39;t miss this one!! Please, send me more information on this property: MLS# 2006497 – $2,950,000 – 5318 Parker Branch Rd, Franklin, TN 37064. 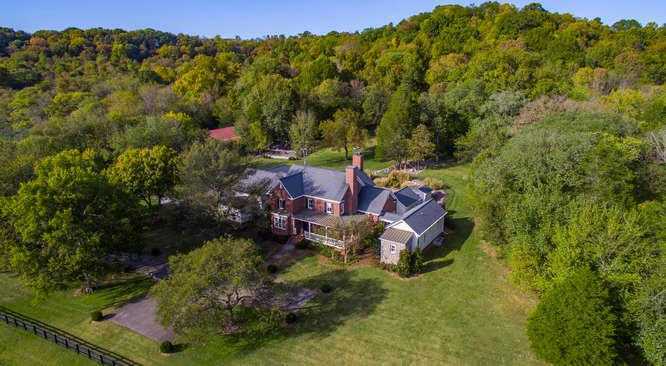 I would like to schedule a private showing for this property: MLS# 2006497 – $2,950,000 – 5318 Parker Branch Rd, Franklin, TN 37064.